I was one of twelve participants to take part in the PoSSUM scientist-astronaut training programme from 7 October to 11 October 2017. It was absolutely incredible! The purpose of the programme is to teach candidates skills to effectively conduct research on the next generation of space vehicles. 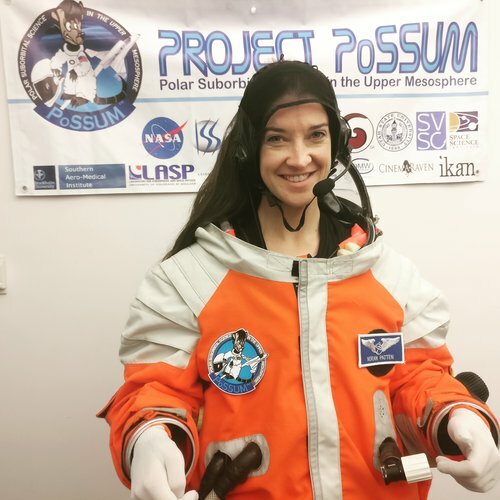 During Project PoSSUM 2017 I learned about operating a pressurized spacesuit, completed g-force simulation training and conducted aviation egress training. I will be returning to do more PoSSUM training next year!